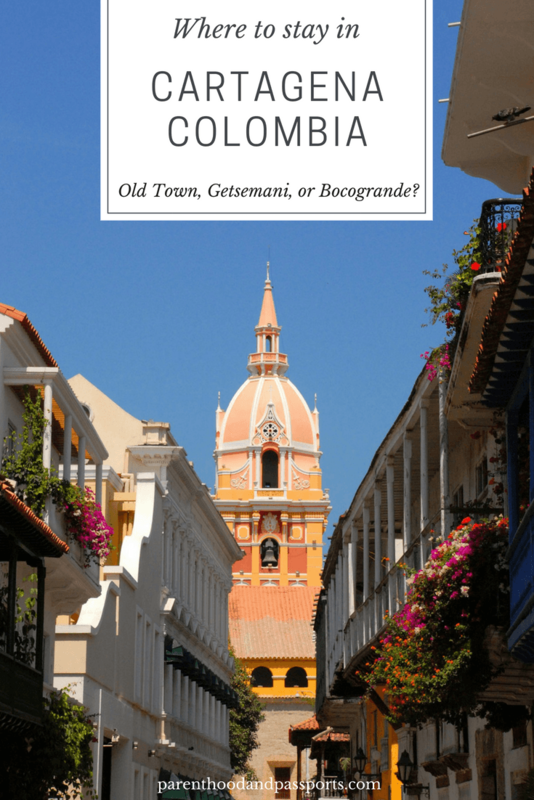 Where to stay in Cartagena: Old Town, Getsemani, or Bocagrande? Cartagena, Colombia is one of those cities that feels completely different depending on the area in which you stay. Lodging in the city is broken up into three primary areas. 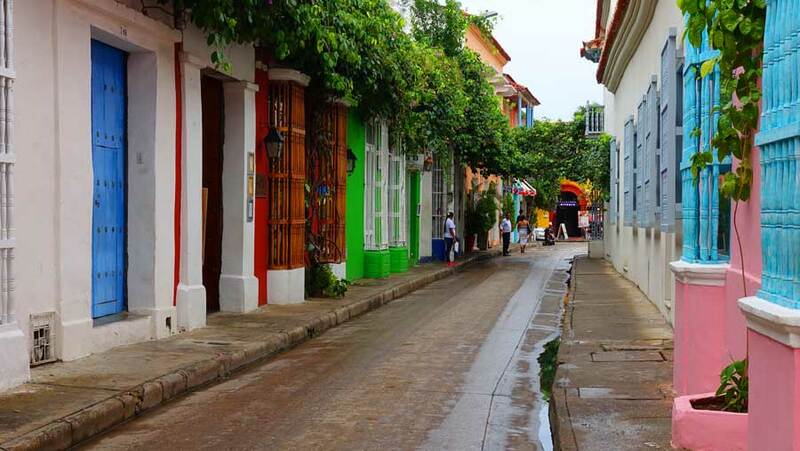 Visitors to the colorful coastal city typically stay in either the Old Town Cartagena; Getsemani; or Bocagrande. First-time visitors often have a lot of questions about Cartagena including where to stay. Staying inside the walled city of Cartagena puts you in the center of all activity. The walled city is perhaps the most popular area of Cartagena in which to stay. Also known as Old Town Cartagena, the walled city consists of the historic districts of El Centro and San Diego. The walled city is the heart of Cartagena. It is bustling with activity day and night, and is without question, Old Town is the primary attraction of Cartagena. With colorful buildings, shaded plazas, and historic churches, the walled city of Cartagena is positively charming and picture perfect. 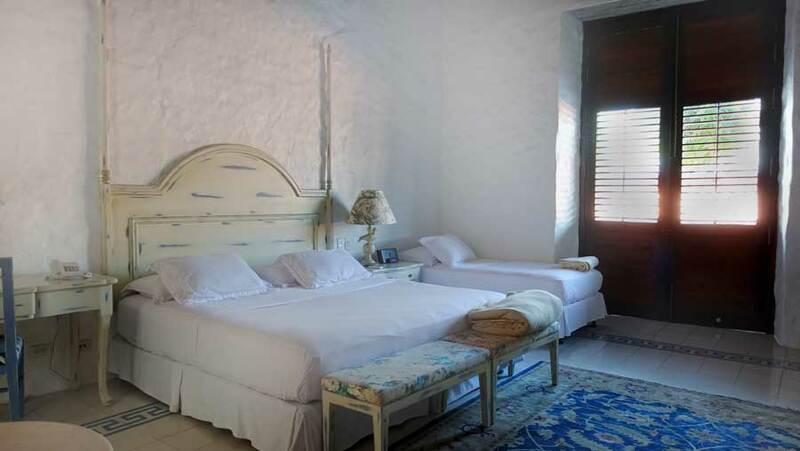 Lodging in this historic colonial area is primarily made up of boutique, locally owned and operated “casas.” Casas in Cartagena are old homes, mansions really, that have been renovated and converted into boutique hotels with just a handful of rooms. The hotels inside the walled city of Cartagena are old, charming, and unique. There is something truly enchanting about staying in a building that is 400 years old. Although it is more expensive to stay inside the walled city of Cartagena, you will feel much more immersed in the culture. Located just south of Old Town, Getsemani is an up-and-coming area of Cartagena. A few years ago, you wouldn’t have wanted to visit Getsemani, let alone stay the night there. It was a hotbed for drug activity and crime. But this area of Cartagena is now becoming increasingly touristy. It is particularly popular among backpackers and younger travelers due to a budget-friendly lodging options and hostels. 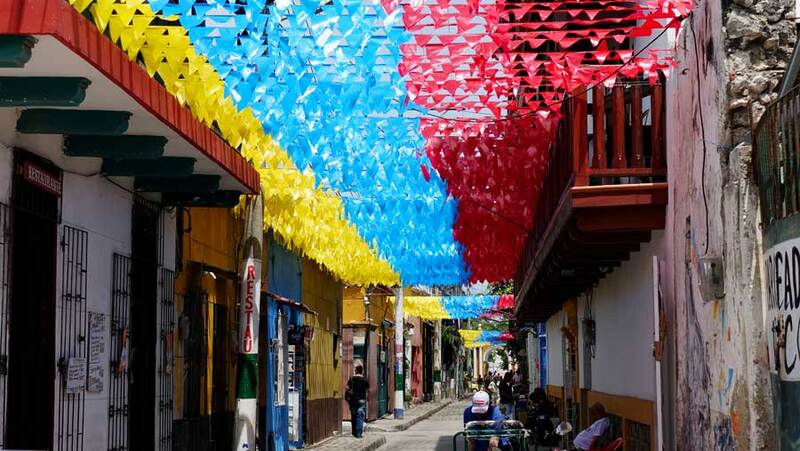 Although Getsemani still has colonial charm similar to Old Town Cartagena, it also has a hip, urban feel to it with beautiful street murals, food carts, and an exciting nightlife. With that said, it is still a district on the rise. While it may be safe, it is not quite as picturesque as Old Town. Many of the old, historical buildings are still rundown and in need of renovation. Bocagrande is known as modern Cartagena. It’s full of high rise buildings and North American hotel chains. If you prefer luxury over character, Bocagrande would probably be more your scene. Many of the hotels have really nice pools and resort amenities. The hotels are located right on the water next to a public beach. Truthfully, the beach isn’t the greatest. It is crowded, the sand is dark, and the water isn’t really clear, but it is convenient if you want to be by the ocean. Most visitors to Cartagena take a day trip to the Rosario Islands if they want to go to the beach instead. You can actually get a decent deal on a hotel room in Bocagrande, but on the downside getting to tourist sights or Old Town requires a 10-15 minute taxi ride. Where to stay in Cartagena, Colombia depends largely on your travel style and budget. If you can afford it, I highly recommend staying inside the walled city in the districts of El Centro or San Diego. It is a much more personal experience, and you are within walking distance to many of the main things to do in Cartagena. While we were in Cartagena we stayed at Casa Quero. Casa Quero is a charming boutique hotel located in the San Diego district of Old Town. It is conveniently located on a quiet and beautiful street inside the walled city of Cartagena. We stayed in the Grand Suite Condesa which has high, vaulted ceilings and lovely, antique furnishings. The room had a shaded balcony overlooking the street. It also had a large bathroom with a separate shower and tub, which is great when you travel with little ones that take baths instead of showers. The hammocks and rooftop pool at Casa Quero were our favorite places to spend the afternoon when the heat became too unbearable to walk around and explore the town. Our stay also included a complimentary breakfast. The selection was limited, but the food and service were good. CHECK PRICES AND BOOK YOUR STAY AT CASA QUERO OR READ OTHER TRAVELERS’ REVIEWS HERE. 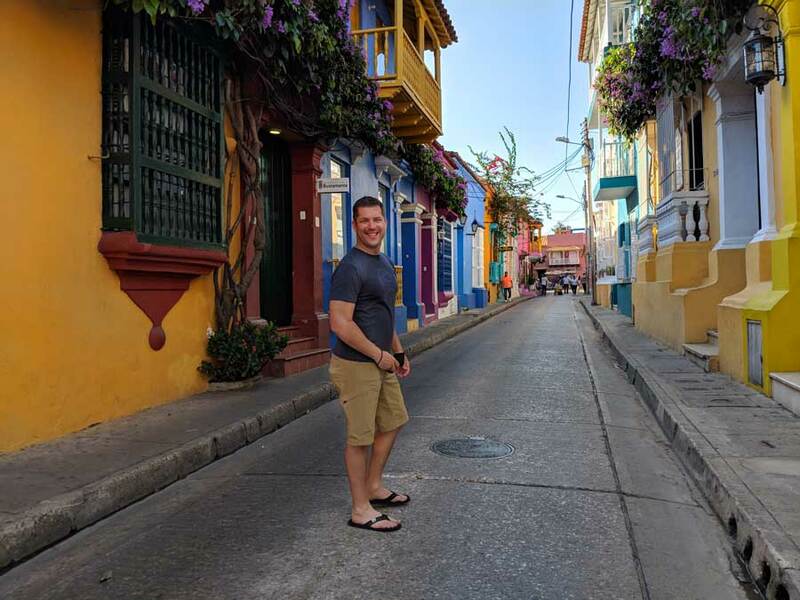 Although we stayed at Casa Quero in Old Town Cartagena, and I would wholeheartedly recommend it, we considered hotels in both Getsemani and Bocagrande. 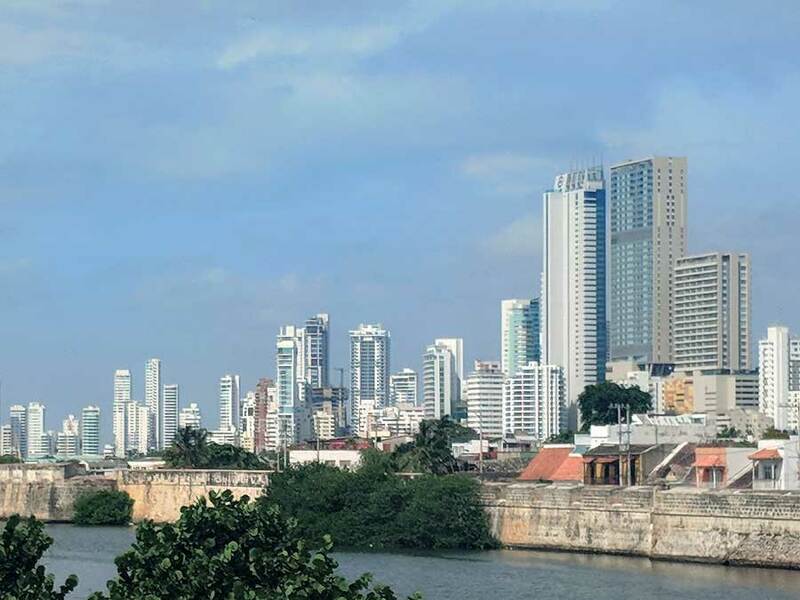 Here are a couple of other options to consider if you want to stay in the neighborhoods of Getsemani or Bocagrande, Cartagena. In Getsemani, we almost booked our stay at Armeria Real Luxury Hotel. The hotel offers townhome style accommodations, which would be great for families traveling with children. The rooftop swimming pool at Armeria also overlooks the bay. CLICK HERE TO CHECK PRICES AND BOOK YOUR STAY AT ARMERIA REAL LUXURY HOTEL. We also considered staying at the Hilton Cartagena in Bocagrande. Accommodations are reasonably priced and the hotel has a large swimming pool with a fun slide that is perfect for kids. CLICK HERE TO CHECK PRICES AND BOOK A ROOM AT HILTON CARTAGENA. Ultimately, we decided to stay in Old Town Cartagena and do not regret that decision. But regardless of where you stay in Cartagena, the picturesque colonial city will definitely not disappoint! Have you been to Cartagena Colombia? 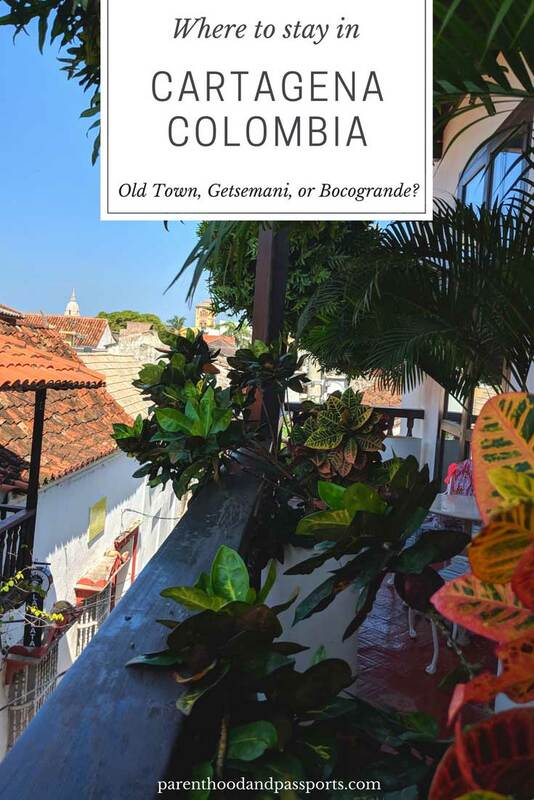 Or do you have a question about Cartagena’s Old Town, Getsemani, or Bocagrande neighborhoods? We’d love to hear from you! Leave your thoughts in the comments below. I stayed in Getsamani during my recent trip and really liked it! Although it was also busy at night, there were way less vendors there than there were in Old Town. Which I’m sure you guys know can be kind of a relief! But both areas are great. I don’t think I would have liked staying in Bocagrande since the colonial architecture and colors of Old Town/Getsamani are so pretty! Totally agree with you on all points. The vendors in Old Town can almost ruin the experience, and we were hardly approached at all in Getsemani. It was a nice break from the chaos. Bocagrande wasn’t really for us either. Although I know my daughter would have loved a bigger pool with a slide.